Scheduled from 8 to 9 May 2019 at Novotel Aerocity, New Delhi, SHIFT_019 is Asia’s premiere labels and packaging conference. The 2-day conference will be filled with enlightening presentations, thought-provoking discussions and networking opportunities, with the aim to transform print and packaging businesses. The conference will feature table-tops from leading and supporting manufacturers to showcase the latest product and developments for the labels and packaging industry. Past editions have been held in Southeast Asia, such as Malaysia, Thailand, Singapore, Indonesia and the Philippines. For the first time ever, the event will be held in India to highlight the rapidly growing packaging market in India. In addition, delegates from past year’s event have signaled their interest and support for the destination. Each year, the conference attracts business owners and suppliers, packaging printers, converters, brand owners and designers. Organized by Asia Print Awards Management (formerly known as AFTA), the conference was similarly titled SHIFT_018 in last year’s edition. This year, the same thread was continued with SHIFT_019. The conference theme for the upcoming event has been set at: Investing for Sustainability & Financial Returns. According to organizers, there will be about 20 international speakers lined up to present at the conference. The conference this year aims to adder two of the most pressing issues faced by today’s print packaging business owners: sustainability and returning on investment (ROI). The topics and speakers that have committed to presenting include Tim Klappe, MPS; Alfred Ulli, BOBST; David Jones, Alphasonics; Hayato Kashiwagi, DIC Inks;K. Panthala Selvan, Pressman Solutions & Idealliance South Asia;Tom Orbien, Prime Blade; AnujSahni, Windmoller & Holscher; Giuseppe Sauli, Uteco;Supachai Theravithayangkura, Flint Group; Klaus Nielsen, Xeikon; Thayer Long, Association for Print Technologies; Isaam Lutfiyya, Baldwin Vision Systems; Andy Yarrow, Kornit Digital; Steve Smith, Kodak; Gururaj Kirsur, DuPont Advanced Printing; Nick Price, HP Inc.; Markus Amendt, Kaspar Walter. There will be more speakers added to the lineup in the coming weeks leading up to the conference. Every year, SHIFT_019 form partnerships with established trade bodies and associations to cultivate dynamic knowledge building and networking opportunities. This year is no different. The 17th edition of the Asian Packaging Conference will be supported and endorsed by Association of Label Printers & Suppliers (ALPS), Indian Printing, Packaging and Allied Machinery Manufacturers’ Association (IPAMA) and Bombay Master Printers Association (BMPA). In addition, Association for PRINT Technologies (APTech) will also make a repeat cooperation. APTech has supported the event for the third consecutive year. ALPS is a society of label printers, suppliers and printing professionals in India with the main goal of bringing all label technologies on a single platform. Founded in 1988, IPAMA is an independent organization serving the needs of the printing, packaging and allied industries in a rapidly changing marketplace. BMPA was formed in 1955 in Mumbai, and is a well networked association of print providers, pre-press, pre-media specialists, post-press and converting, package printing, agencies, alongside suppliers. APTech, formerly known as NPES, is a US organization dedicated to supporting the entire global printing value chain. SHIFT_019 celebrates the 17th edition of the Asian Packaging Excellence Awards. The annual competition recognizes and honors packaging excellence for the Asian region. The competition is open to companies involved in the production of packaging industry. There are 26 categories divided into three segments of flexography, rotogravure and labels. A new category of mockup/sample production has also been inducted following requests from last edition of the awards. Organizers are excited to announce that winners have already been determined. Over three days, an international, independent jury of industry experts examined each submission anonymously within pre-established criteria. Judges for Asian Packaging Excellence Awards this year are print veterans: Willem (Wim) Swiggers, Phee Boon Eow and Ben Kwok. Winners will be unveiled and recognized during the Gala dinner at SHIFT_019. 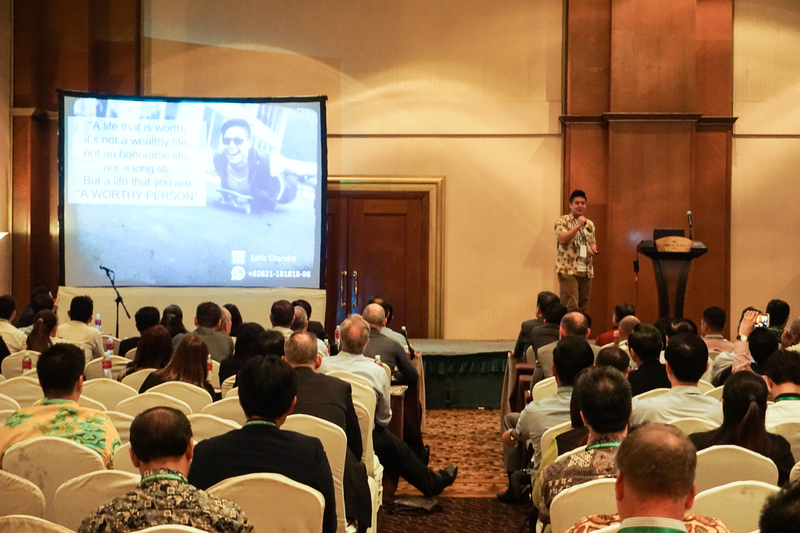 SHIFT_019 is the 2019 edition of the annual Asian Packaging Conference, Asia’s premiere labels and packaging conference. Organized by Asian Print Awards Management Pte Ltd, the conference will be filled with enlightening presentations, thought-provoking discussions and networking opportunities, with the aim to transform print and packaging businesses. SHIFT_019 will take place over two days from 8-9 May at Novotel Aerocity, New Delhi in India.